Meet Stan and Olive Butler. Stan drives the Woodland Bus around Sylvania and is always a little late as he likes to slow down and wave to everyone he knows. Olive is his conductor and to hurry him along can often be seen shaking a copy of the bus timetable in front of him! They are both happy to take a quick lunch break though. Olive always brings along sandwiches and a flask of tea and there is nothing Stan likes more than standing by his bus at the side of the road watching everyone wave at him for a change! 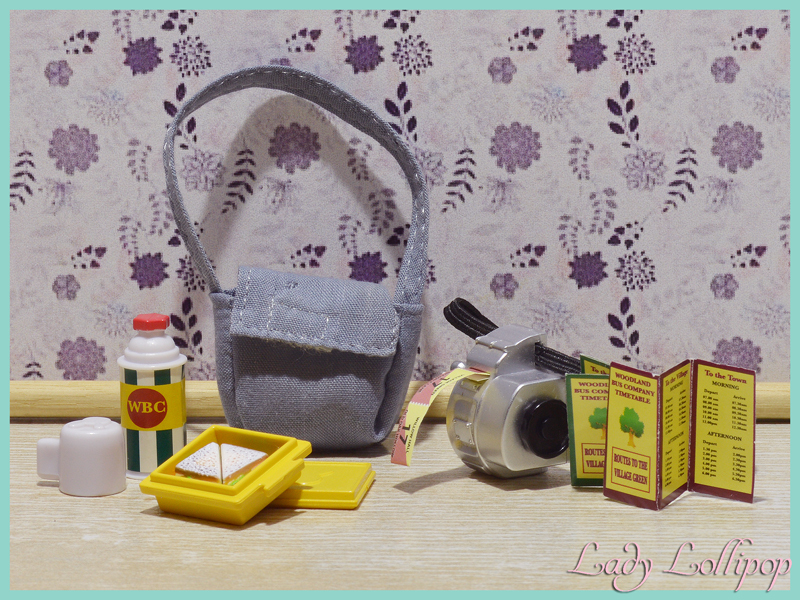 Items included: Messenger bag; thermos with removable mug top; yellow lunchbox; 2x triangle cut sandwiches; ticket printer; paper ticket roll; 2x paper timetables. *The Butler Bear family are related to the Bearbury Bears in that they look exactly the same! 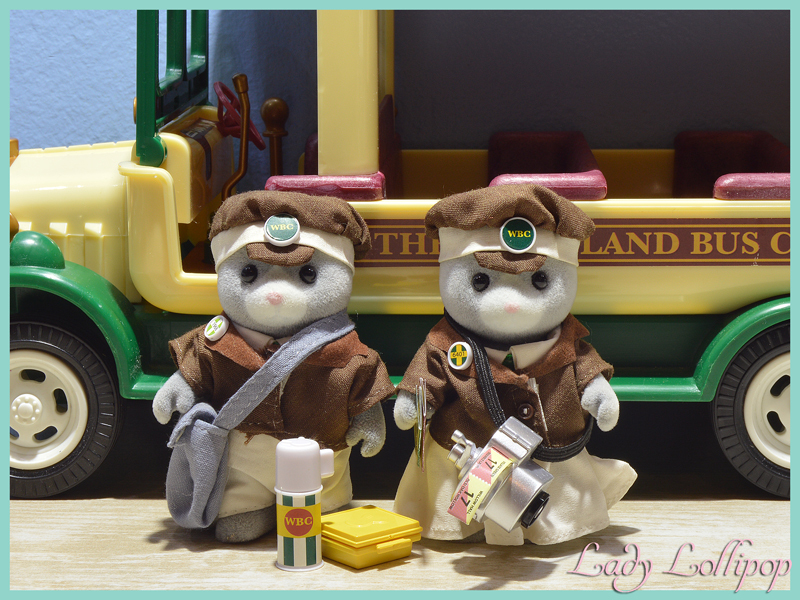 The figures in this set are named after characters from the UK sitcom "On the Buses" and is a UK Exclusive set. Interestingly, the printed tickets include a ticket for the Seaside - a theme that was released a while after this set around 2016. The timetables also have times for routes to the village and to the town - another theme that was recently released in 2017!